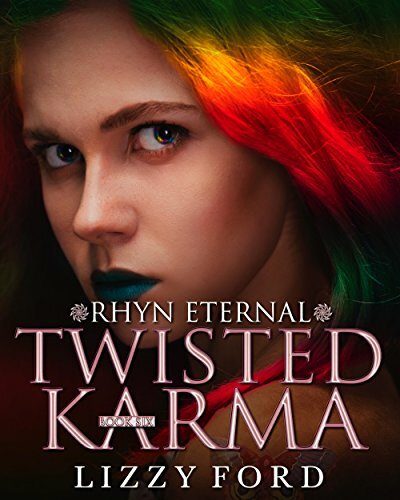 Responsible for her brother’s inability to protect the Future, Karma is helpless to do anything for him and quickly finds herself in a worse situation. She’s found her mate – and he’s bad news. Wild, emotional, and naïve, Karma is a wildfire without restraint. Her mate is her polar opposite – and the threat her brother foresaw tearing apart the Immortal and human communities. Meanwhile, Stephanie has been left to figure out her role within the Immortal community. Tasked by her mate – Fate – to stop the Immortals from imploding, lest demons take down the human world, she struggles to find a way to bring her family and the Immortals together, or at least, to keep them from falling apart. Wynn soon gives her a greater task: she’s going to head the Council and lead the Immortals. He’s ready to execute the plan he’s been nursing for thousands of years, no matter what damage he does in the process. With no mate to guide her, and few allies to call upon, Stephanie chooses to make a deal with the Dark One in order to stop Wynn and save her people. It’s all or nothing. Rather, all or Hell.